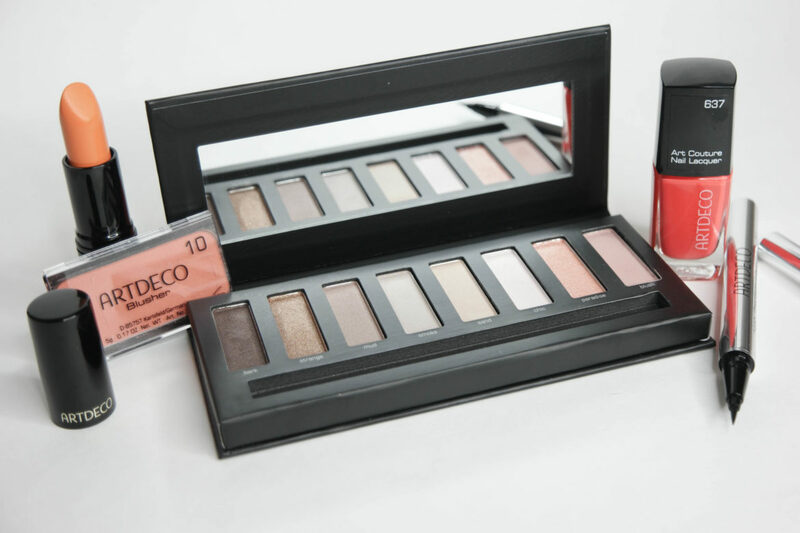 ArtDeco is one of those European makeup brands I’ve been pining for off and on for years. Our friends in Canada have had it for ages, of course, but they don’t have any stockists here as far as I know. How then, did I not realize until a couple weeks ago that their web store now ships to the US? This discovery coincided with a 30% off flash sale on their site, so I took the chance to try out a little bit of something new. Despite all the praise I’ve heard for the brand, after trying out my new goodies I’m feeling some pretty mixed emotions. Buying online is always a little bit of a gamble, so maybe I can save you some trouble. Here it is, the good, bad and the ugly. I’ll just go ahead and get the biggest disappointment out of the way. 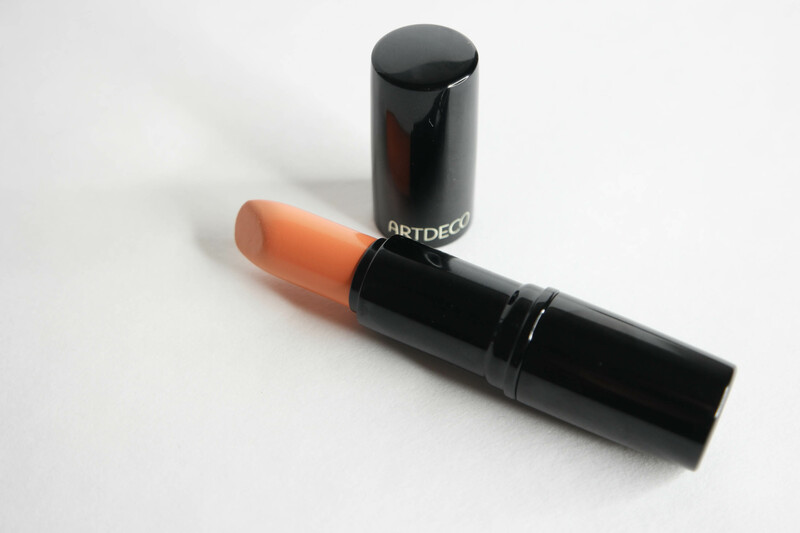 I’m a major lipstick addict, so I spent quite a while poring over their lipstick selection and eventually settled on the Perfect Color lipstick in #16 Soft Coral ($16). I love corals, and the picture on their website is so pretty – a bright, pinkish one. Welp, the lipstick looks nothing like the color as it’s displayed online. In real life it’s a light orange sherbet color that does my complexion no favors at all. I could forgive the color issue, if it were only that. After all, things can go seriously weird with white balance, monitor calibration, etc, etc. Sadly, I also hate the formula. 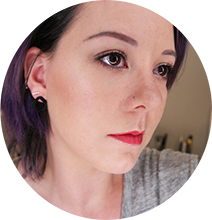 Far from ‘perfect color coverage’, this particular shade is pretty sheer, and no amount of layering can keep my natural color from peeking through. On top of that, the second I move my lips even slightly it gathers in every single line I didn’t realize I had. As for longevity, who knows? I haven’t tested it, because tbh I feel like I’ve been punished enough already. 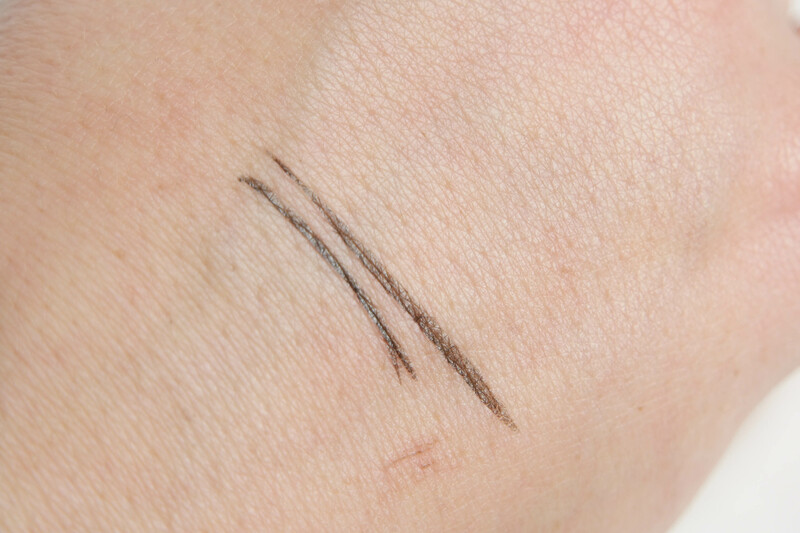 I can say this is one of the most epic misses of my entire makeup-testing career. Unlike the lipstick, the nail polish I picked up – Art Couture Nail Lacquer in #637 ($18) – was almost dead on to the colors in the photo. I expected a bright, warm pink and that’s exactly what I got! I love the shade, and the polish itself is easy to work with if a tiny bit thicker than what I’m used to. Coverage is almost opaque in one coat, but I did two for good measure. Wear test is in progress. 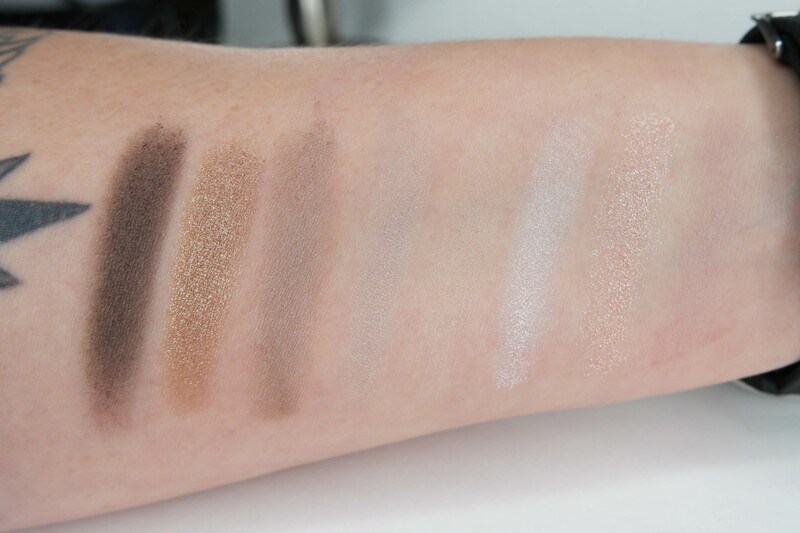 I couldn’t even begin to decide on eyeshadow singles, partly because their photos didn’t seem great and partly because so many colors were out of stock. So I eventually decided to get one of their smaller palettes instead – I went with the Most Wanted To Go in Rose ($20), since it seemed to have a good variety of shades that I’ll wear on a regular basis. And you guys, I’m really conflicted on this. I want to love it, but I just…. don’t, really. For some reason my brain expected a plastic compact but instead, it got flimsy cardboard. If you happened to get the little 4-pan Urban Decay palette Sephora had as a 500 point perk once upon a time, it’s the same type of thing. The pans are also way too narrow to get any except the smallest brushes into, so it’s gonna get messy fast. The shadow quality varies. The shimmers – Bark, Strange, Mud, Smoke & Sand – have pretty good color payoff, but a dry-ish texture. The colors are nice, but not complex and easily dupe-able. The glitters, Chic and Paradise, are gritty, chalky, chunky fallout bombs that feel like something you’d find in the toy aisle. 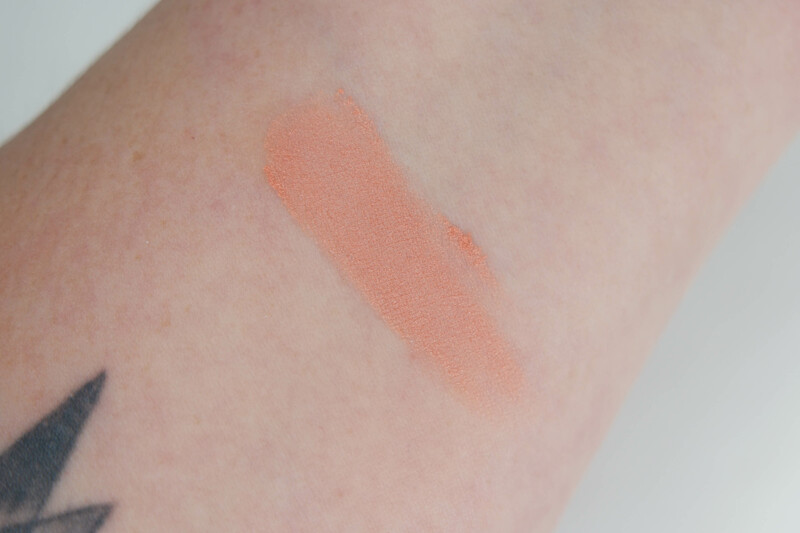 The one true matte in the palette, Blush, is a nice pinky shade with a smooth but dry feel. I don’t have strong feelings about it either way. All that said, it’s definitely possible to get some nice looks out of this palette, I just think there are options that are cheaper and easier to get your hands on. I haven’t noticed any major fading or creasing (with primer, naturally) so that’s nice. Let me be up front with you here: I’m a little picky about blush formulas. For whatever reason, I just have no patience for blushes that aren’t easy to use. 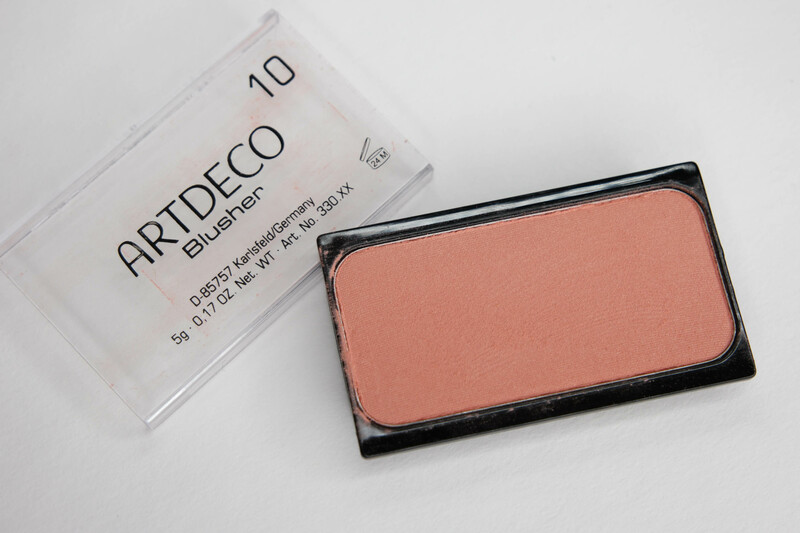 Ergo, I have no patience for this blush, which is their Blusher #10 Gentle Touch ($14.50). 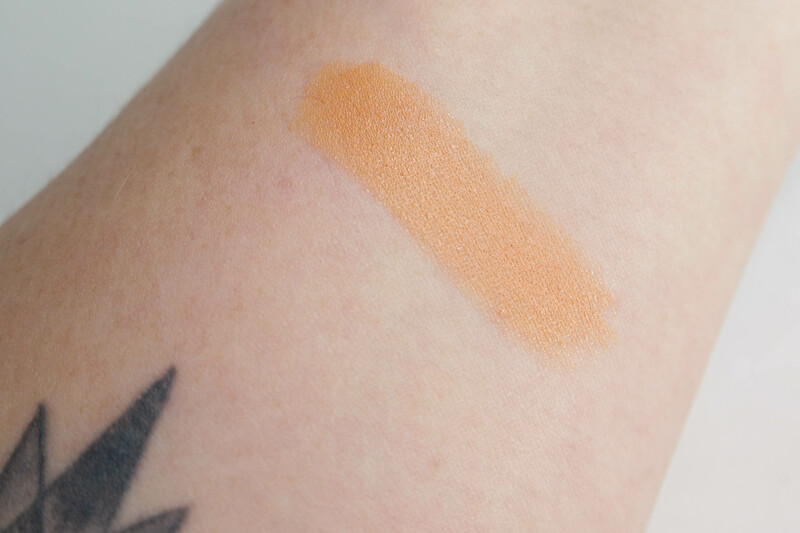 The color is really nice – a medium peachy shade – but I found it very dry-textured and difficult to blend. I also have to be veeeeery careful with my brush to avoid kicking up a ton of powder, which is sort of a pain. On the plus side, the magnetic pan is great if you’re a DIY palette kind of person (I’m not, really). On the minus, the first day I wore it, it was noticeably faded by lunchtime. I already have some similar colors, so I don’t see myself getting a ton of use out of this. This was my favorite product out of the whole bunch. My beloved Lorac Front of the Line Pro liquid liner ran dry ages ago, and this looked so similar that I couldn’t resist getting it. After using it – it’s pretty damn similar. It has a brush tip instead of felt (yay!) and the same type of firm snap-on cap. The product color isn’t quite as deep black as the Lorac one, but the slightly glossy finish and impressive staying power are a dead ringer. As much as I like it though, it’s only 50 cents cheaper and I can’t just run to Ulta for it. So…. yeah. I’ve been wanting to try out ArtDeco stuff for a pretty long time, and now that I have – meh. There were just way too many misses in this order, and even the wins didn’t totally wow me. 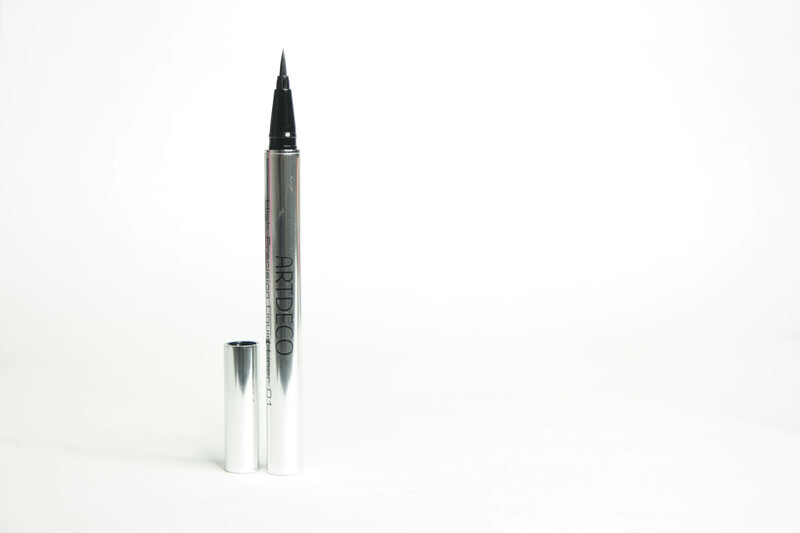 When it comes to reasonably-priced European makeup brands, Kiko Milano still has my heart. Keep an eye on my instagram, because I’m sure I’ll be dropping by their store in a couple weeks while I’m in Vegas!